Located in the busy country town of Mansfield, only two and a half hours from Melbourne, the Delatite Hotel is an ideal spot to start exploring the High Country region. With good food, cold beer, crafty ciders and local wines, local art and the regular musicians playing some blues and acoustic sets, there is something for everyone at the Delatite Hotel. Located right in the heart of Mansfield, you can enjoy staying, playing or dining at the Hotel. Whether you are sitting by the open fire with a glass of red, challenging a mate to a game of pool over a good ale, enjoying a tasty meal in their spacious bistro, or getting ready to hit the pillow after a big day on the ski fields, the staff will do their best to look after you. 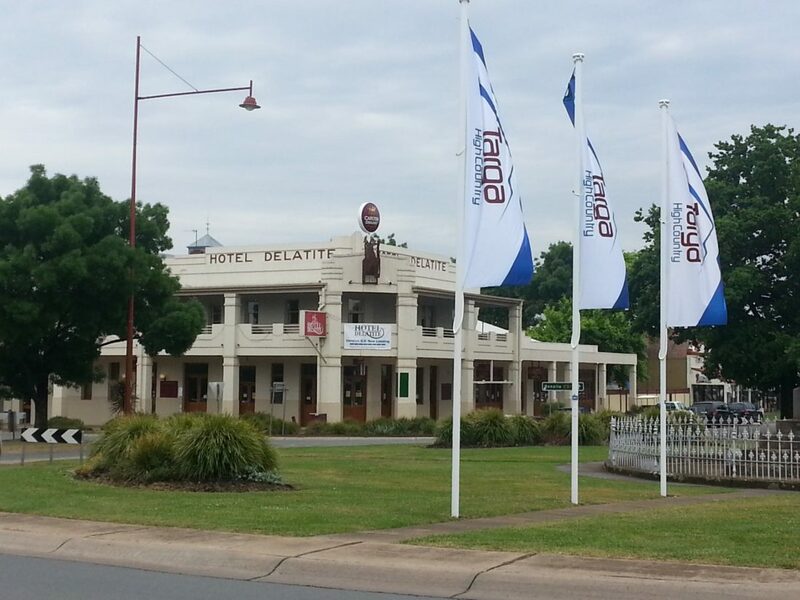 The Delatite Hotel has one king-size ensuite room and 12 shared bathroom rooms – right in the centre of Mansfield. The pub-style accommodation provides shared bathrooms and a choice of singles, double, triple or family rooms. All accommodation is upstairs, with both an entrance from High Street and from the rear car park area. Book direct withthe hotel for the best accommodation deals.